General TV Channel / Latvijas Televīzija is the state-owned public service television company in Latvia. The company is funded by grant-in-aid from the Latvian government (around 60%), with the remainder coming from television commercials. Although moving LTV to licence fee funding has long been debated, this has been consistently opposed by the government. Many media analysts believe that the real reason for this is that the government is reluctant to lose the control of LTV that state-funding gives the government. 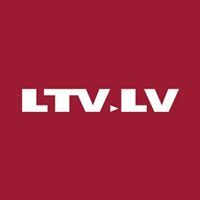 LTV operates two channels, LTV1 in Latvian and the LTV7 (previously called LTV2) in Latvian and Russian. LTV1 is the annual broadcaster of Eurovision in Latvia, and LTV7 also broadcasts many sport events like the Olympics, different Latvian sport league and national team games, MHL, Euro and FIFA World Cup.